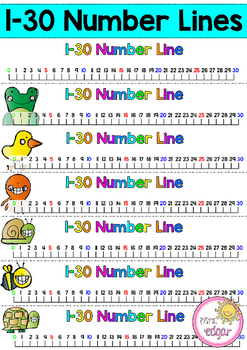 1-30 Number lines! 7 different designs, including one with no pictures. 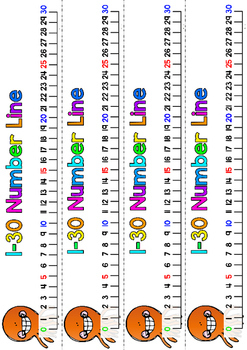 Bright, colorful and helpful for students when using in mathematical tasks. 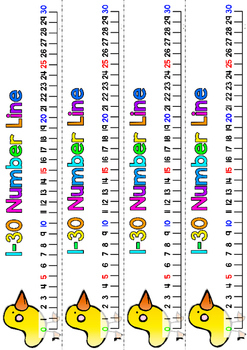 These number lines have dotted cut lines to make it easy to simple print and slice. 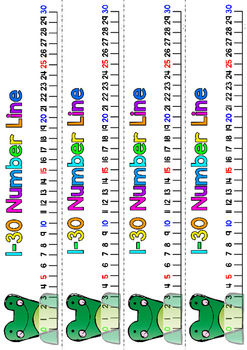 Counting in 5 and 10 patten is visible using different colors.